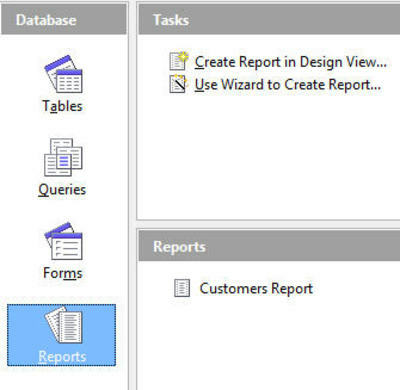 Let's say that you've got a spreadsheet where you need to enter a lot of information. Here's one example, but let's say that you have lots of fields, aka lots of columns, and you have to scroll around a lot to enter the data. What if there were a bit of an easier way to enter the data? Then install that extension file. 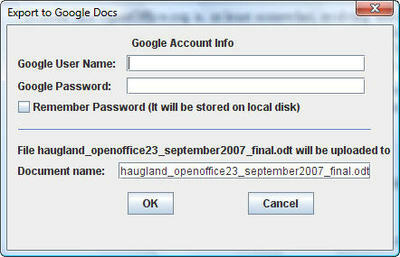 After installation close both OpenOffice.org and the Quickstarter (the icon in the traybar), and start OpenOffice.org again. Then set up the data like this, get it going. 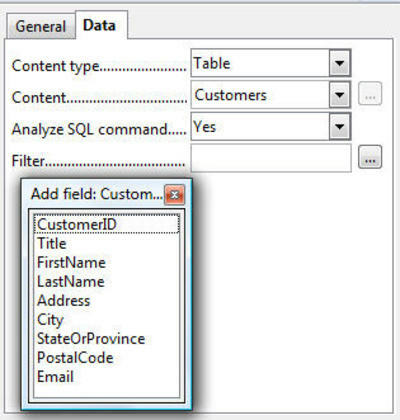 Then click somewhere in the data, not a blank cell, and choose Data > Form. The data entry form will appear. 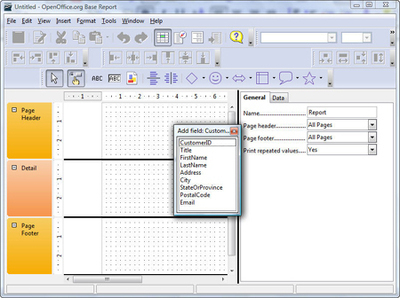 The flexibility of open source, and the handy Extensions system, lets the community write functionality for OpenOffice.org without having to make it part of the main program. You might also want to check out the Sun report writer extension -- very powerful but I haven't used it yet. Here's my blog on it. Here's everything I've written about extensions--at least, everything I've written about extensions that I've categorized that way. Here's the specific blog on how to install extensions. Installing extensions is pretty easy. Download the extension. 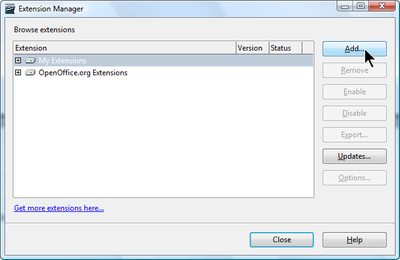 Then in OpenOffice.org, choose Tools > Extension Manager. Select My Extensions and click Add. Find the extension file you downloaded. An installation process runs, and you’ll see Enabled next to the extension. For some extensions, you’ll need to restart OpenOffice.org. 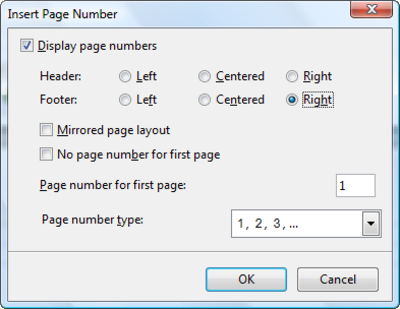 To use it, look for a new menu, new menu items, new toolbars, or all three. 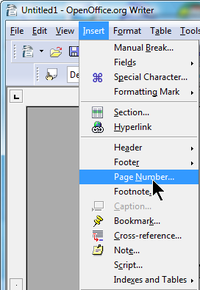 Often there's a toolbar or menu called Add-On. Is anyone writing extensions for OpenOffice.org envelopes? We've got the extension library full of great stuff. 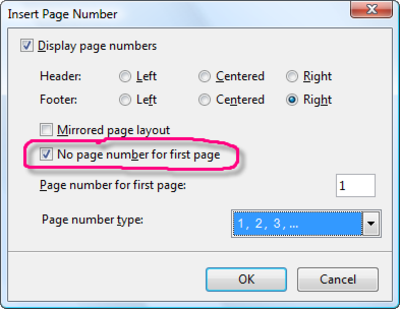 Notably, lately, the fabulous pagination extension that makes "no page number on first page" so easy. Envelopes are something else that I get a lot of questions on. Is anyone out there working on making envelopes easier with a nice extension? I've been told that the approach to envelopes used in Corel WordPerfect is a good, simple approach. If there's something out there already, or if anyone's going to write something, let me know when it's done and I'll shout it from the virtual rooftops!